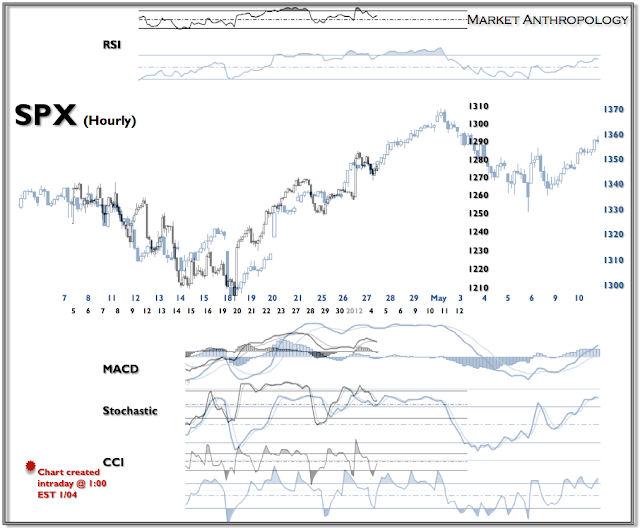 Here is an intraday update for the SPX analog from April I have been following. Broadly speaking, the market continues to follow the fractal's blowoff structure, albeit with stronger retracements and less consistent strength from day to day. This is largely due to how the equity markets have been trading since August, with spurts of strength and weakness represented with a littering of gaps in the daily charts. I believe that the equity markets gap structure is one indication that the SPX will likely decline rapidly once it breaks down - unlike in May. Utilizing analogs for estimating targets is equal parts art and science. I have continued to "tailor" the current market's structure (by compressing or loosing the scale) - which can alter the time and price components of the target. 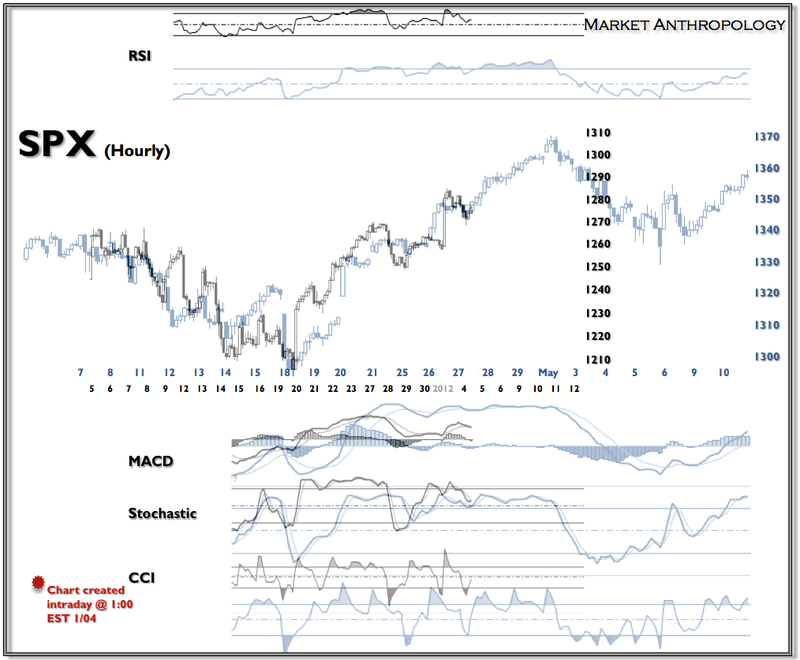 Always remember that these analogs are just guides and the current market will inevitably break from the pattern. For this reason, and because it's 10 degrees outside - stay frosty.